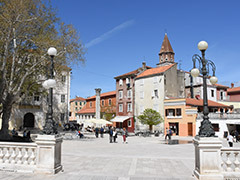 Tour of the town of Nin and its museum; visits to the Roman Forum in Zadar, Archaeological Museum and Museum of Ancient Glass; tour of Salona and Diocletian’s Palace; Asseria and remains of the Roman amphitheatre in Burnum (Krka National Park). 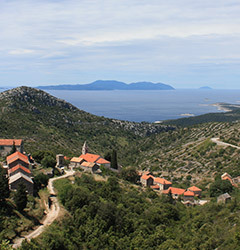 Fans of Roman history can follow the footsteps of Roman emperors through one of Europe’s cultural routes in the area of northern and central Dalmatia. We will start in the miraculous town of Nin, situated on a small island in the middle of a sandy lagoon, containing the remnants of a temple and one of the oldest preserved Illyrian-Roman ships - a serilia. The Roman Forum in the city of Zadar is the largest on the east coast of the Adriatic, and it also contains an interesting capitol and the remains of the wall built by Emperor Augustus, as well as rich collections of ancient artefacts in the Archaeological Museum and the one-of-a-kind Museum of Ancient Glass. Discover the remains of the capital city of the Roman province of Illyricum - Salona, and pay a visit to the palace of Roman Emperor Diocletian, out of which grew the modern city of Split. Rediscover the lost ancient cities of Asseria, containing walls built during Emperor Trajan, and Burnum inside Krka National Park, which was mentioned by Pliny the Elder, and contains the remains of the only military amphitheatre. Three-day to five-day packages are available. 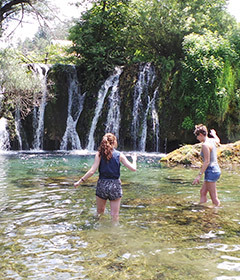 An approximate program for a three-day package includes: Day 1: Zadar - Nin; Day 2: Salona - Split (Diocletian’s Palace); Day 3: Asseria and Burnum (Ivoševci) - Krka National Park. The package is available during the entire year for groups of 6-70 people. Accommodation is in the four-star Illirija Resort Hotels & Villas Biograd, Heritage Hotel Ražnjevića Dvori 1307 AD in Polača, as well as Camping Park Soline Biograd (trailers) or in private apartments, while transport is organized by us. Expert guides are available in English, German and Croatian (also other languages by request). All listed information is estimated and non-binding so please contact us to finalize the offer.